In a recent edition of White House History (Number 45), a quarterly journal published by The White House Historical Association, the association’s president, Stewart McLaurin, provides an interesting snapshot of all of our first ladies. He simply sums them up by the numbers. 2 – Two first ladies – Louise Catherine Adams and Melania Trump were born outside the United States. 2 – Two first ladies – Louisa Catherine Adams and Laura Bush – were also daughters-in-law of former First Ladies. 3 – Three first ladies – Letitia Tyler, Caroline Harrison and Ellen Wilson died while their husbands were in office. 5 - Five is the largest number of languages spoken by individual first ladies: Lou Henry Hoover and Melania Trump. 6 – Six first ladies – Martha Washington, Abigail Adams, Dolly Madison, Elizabeth Monroe, Louisa Catherine Adams and Anna Harrison – were born under then British Crown. 21 – The youngest first lady - Frances Folsom Cleveland – was 21 when she became the First Lady on June 2, 1886, upon her marriage to President Grover Cleveland. 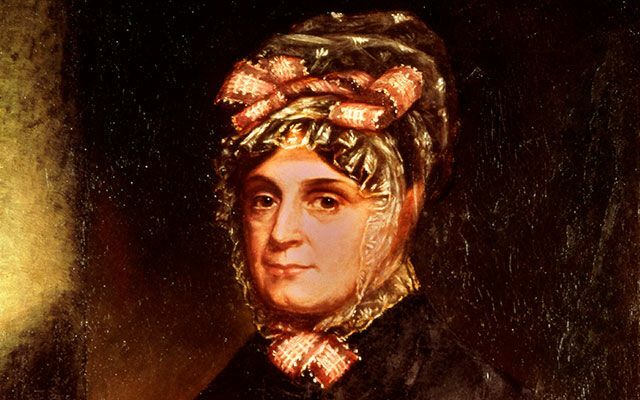 65 – The oldest first lady at the beginning of a president’s term - Anna Harrison – was 65 when she became first lady on March 4, 1841. 1909 – When First Lady Helen Taft rode back to the White House with her husband, William Howard Taft, after he was sworn in as president in 1909, she started an inauguration tradition that continues today. 1977 – First Lady Rosalyn Carter established the Office of the First Lady in the East Wing of the White House in 1977. Newer PostHappy Birthday, TR! How does it feel to be 160 Years Old?